So I finally bit the bullet and bought a journal. I quite like this lifestyle blogging business and I see reason in writing my thoughts down, and some day they may be revolutionary. I see no point in being meticulous when it comes to a starting point starting as your mistakes, misspelt words and random scribbles provide just as good a reflection of you as your carefully cursive anecdotes. Besides that, it acts as a metaphor for life, the mistakes, the etching out, the learning, the corrections. More so than any eloquently selected quotation from that guy you learnt about in English Lit that one time. *Ironically, I am writing this obscene hour on my phone that auto corrects my words left, right and centre. * I find a great relief in writing words down and do miss the act of actually, physically writing them. Something which I feel is slowly becoming a thing of the past. 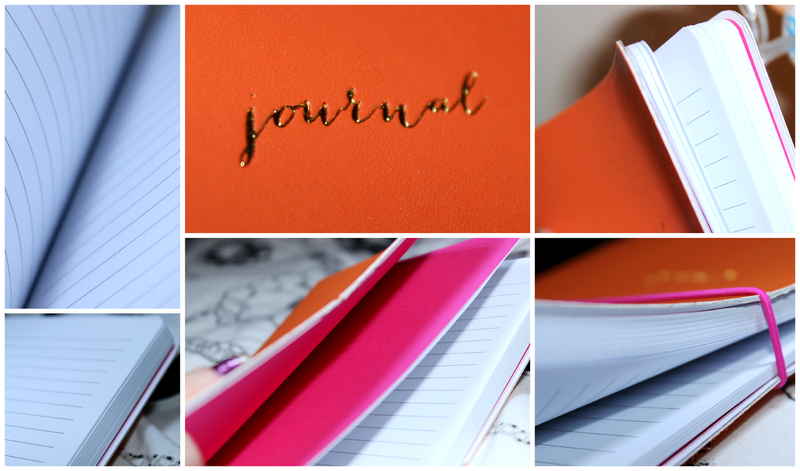 The journal itself is quite bright, loud and pretty and from TK Maxx. I much prefer the idea to a diary - even though in essence, they're one of the same - as to me, a journal seems like you are going somewhere profound and are chronicling your way.